Devon’s largest indoor Baby and Children’s market. 50 stalls filled with 1000’s of bargains alongside some amazing local businesses promoting their wonderful classes and products. 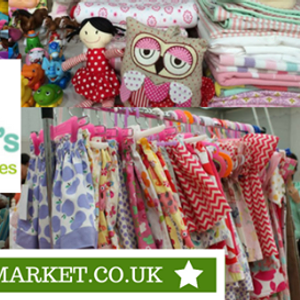 LOTS of stalls bursting with top quality LIKE NEW baby & children's items from birth to 8 yrs plus a small selection of unique businesses. St James High school Summer Lane, Exeter, EX4 8NN. Venue: All of the markets are held in quality indoor locations. ATM: There is no ATM at this venue so come with lots of cash! We have a café selling hot and cold drinks too! Entry is just £1.50 from 9.30am - 10am, £1 from 10.00 onwards and children always go FREE!